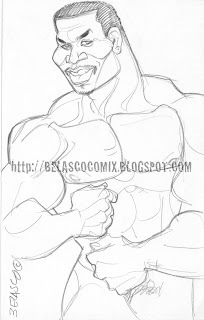 welll..of all the ones drawn...'in his own skin' is my favorite...but we all know im biased towards the bigboys...as far as michael jai White. i am also a fan of his dating back to him as Tyson...and i have always wanted to see a full shot of him naked front and back. i believe you have captured his likeness very well. oh glory!!!!! mjw can rock my mic anyday o' the week, the pix is so cute!!! i wish there was full body pix of both!! bruh got the pecs o'hoy thing down 2 the T. the tyson pix makes u want him 2 sit in your lap. 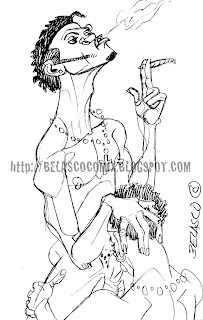 but belasco here's a question 4 u. which 1 of your drawing would u want a night with?